Adding captions encourage viewers to have a better experience with your videos. A study states there’s a spike of 80% in viewer’s staying to the end of your videos if only you add captions to them. So, let’s get started. Vimeo accepts WebVTT (.vtt) format for its captions. If your want captions, then check out how to get captions for your Vimeo videos . 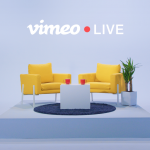 Now, once you have your captions, Vimeo lets you add them pretty quick and easy. Step 1: Login to your Vimeo account and click on the “Manage Videos” tab from the top bar. Step 2: Now click on the respective “Settings” (Gear) icon at the top-right of the video that you would like to add captions for. Step 3: Click on the “Advanced” tab. Step 4: Here, under the Add Captions & Subtitles section click on “Choose a Caption file to Upload” button. Step 5: Once your files is selected, choose your “Language”, and specify whether it’s a Caption or Subtitle. Step 6: If you have any translated subtitles, now is a good time to add them as well. Follow the steps 4 & 5, and select their respective language and type. Step 7: Once you are done with loading your WebVTT files and choosing the appropriate choices, you have to confirm your change by clicking on the “Save Changes” button. That’s it, you are done. You can start watching your videos with captions immediately by simply clicking on the “CC” button on your video. 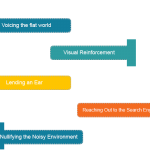 TranscriptionStar Integrates With Vimeo To Provide Easy And Quick Closed Captioning Services. 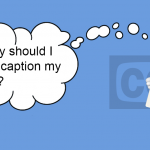 How to add captions to your Wistia videos?